I mai drog jeg til Island sammen med Markus Luukkonen og Tom van Outryve i 3Troubadours for å videreutvikle vår nye forestilling Roots. Til glede for nye lesere er Roots vår andre forestilling (den første kan du lese om her) og tematikken er knyttet til våre personlige røtter (familietrær/DNA), Europas røtter (historie/mytologi/DNA-forskning) og faktiske røtter (nyere forskning og gamle ritualer og myter knyttet til trær). Vår Islands-residens ble støttet av både FEST (Federation for European Storytelling) / Creative Europe og Nordisk Kulturpunkt: Nordisk-baltisk mobilitetsstøtte. I løpet av en drøy uke hadde vi flere møter med den nasjonale fortellerforeningen Félag sagnaþula og hadde interessante og givende samtaler/små workshops om røtter, tradisjoner og for-fedre og -mødre. Vi opptrådte på Nordens Hus i Reykjavik og kom et viktig stykke videre i arbeidet med Roots. Neste residens vil finne sted i Norge i juli på mine forfedres gård Mellum i Elverum. 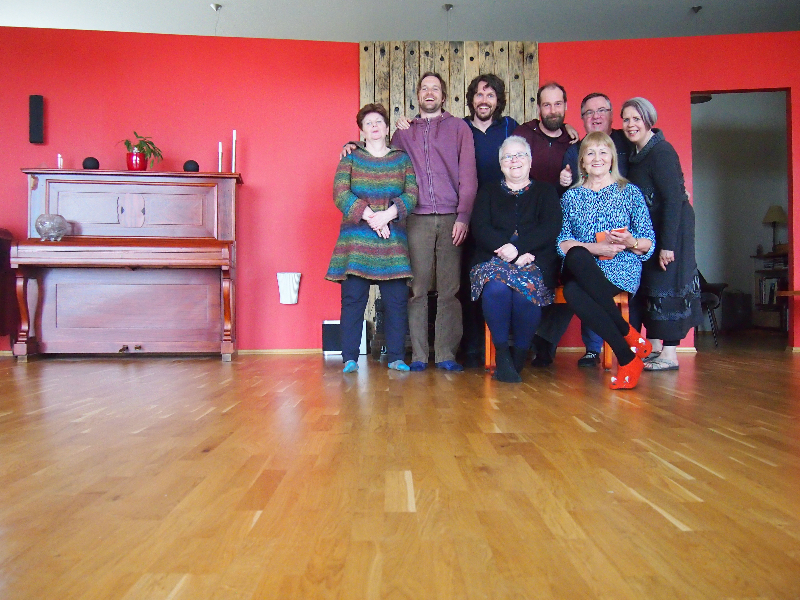 Félag sagnaþula is the only Icelandic storytelling organisation. We had two meetings with the members, one in Snæfallsnes and one in Garðabær, and both were very fruitful. We shared stories and songs and discussed the Icelandic storytelling scene compared with the situation in continental Europe. Félag sagnaþula were curious about what European programs exist for specifically young storytellers. We shared and discussed heritage, what it meant to us and what relevance it has today. We also received many tales connected to the heritage of Iceland – both its legends, its history and its unique geology. We were taught the basic principles of old Norse tale-singing (kveða) and listened to old recordings of the same. This well-kept tradition is also part of old Norwegian heritage, and listening to old renditions of it, inspired Torgrim to include some of it in our upcoming performance. In addition to this we did a small multilingual workshop together. 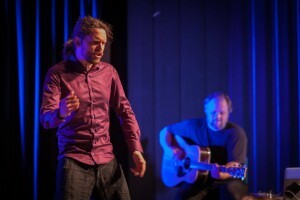 In Garðabær, we talked a lot about the theme of «Roots», especially with Sigurbjörg Karlsdottír and Sigurborg Hannesdottír. They had both been working on a show about their foremothers, and we shared stories from our separate family trees and reflected on ways of using such material in a storytelling performance. It was interesting to see the commonalities between the family histories, even though they had different cultural backdrops. This exchange was very inspiring for both us and them. We were also given a free tour by Sigurbjörg Karlsdottír in the town of Hafnarfjördur where she told us stories, both old and contemporary, about the long-standing belief in elves as part of the Icelandic landscape. We had a couple of meetings with her alone as well as with the extended group, where we were told a vast array of stories and we discussed the aformentioned topics even further. 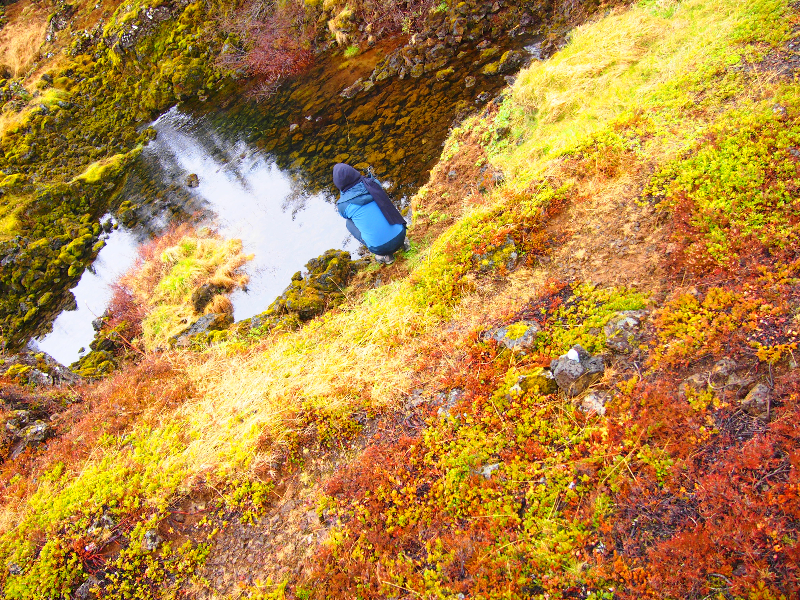 We did several walks in the pristine Icelandic landscape – walking while talking being an intrinsic part of how we develop our stories, sharing how we felt about the land and how it affected us – our connection with it. In addition to the stories we received from our Icelandic colleagues, our hikes also gave us inspiration to material to include in our upcoming performance. 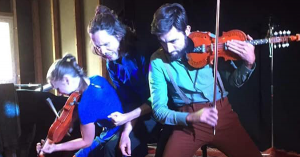 Throughout these walks, a clear idea of a dramaturgy began to form, which culminated in a comprehensive image that we all could agree on and felt connected with. 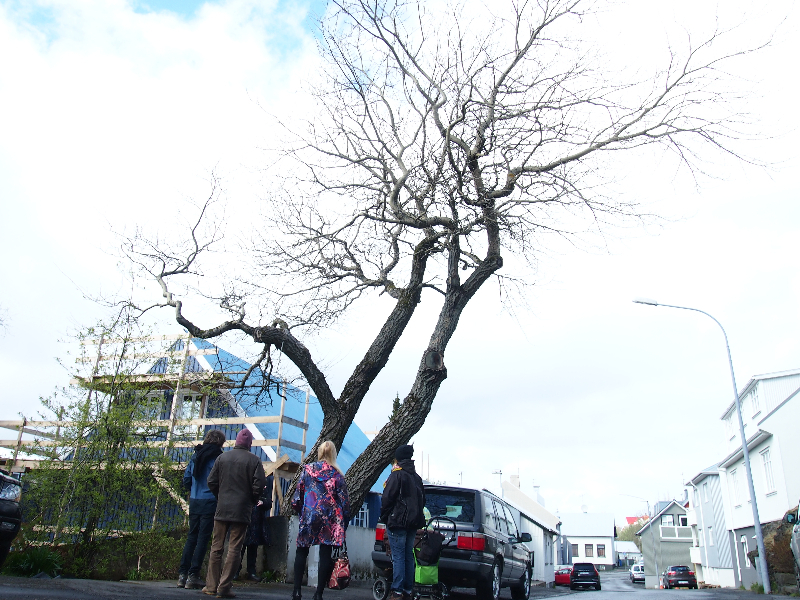 During our stay in Iceland, we also discussed and worked with pieces of material in our local AirBnB, digging deeper into our ancestral trees and finding connections with Iceland that we hadn’t been aware of before, as well as fleshing out some of our fledgling ideas not directly connected to the area. We arranged a meeting with Mikkel Harder Munck-Hansen, the managing director of Nordic House Iceland in Reykjavik. We spoke about the storytelling scene both on a Nordic and a European level, and he shared information about the Nordic cultural systems and the Nordic houses as well as his perceptions of Icelandic culture and heritage from an outsider’s perspective (being Danish by birth). 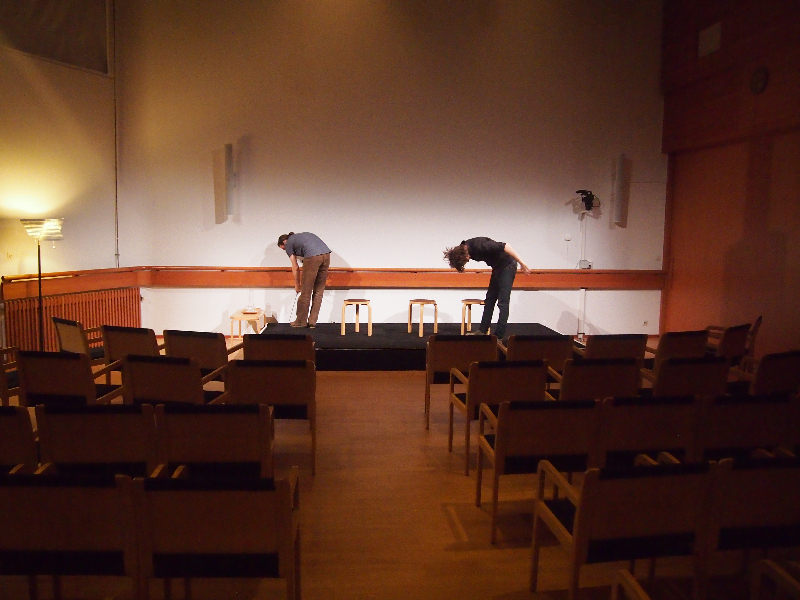 We also performed our pre-existing storytelling performance «Mobile Dreams» at the Nordic House to an audience of approximately 25 people. Among the audience were members of Félag sagnaþula, the German ambassador with family, and ex-pats from Romania and Scotland. The response was very positive, and for many people this was their first experience of a storytelling performance. 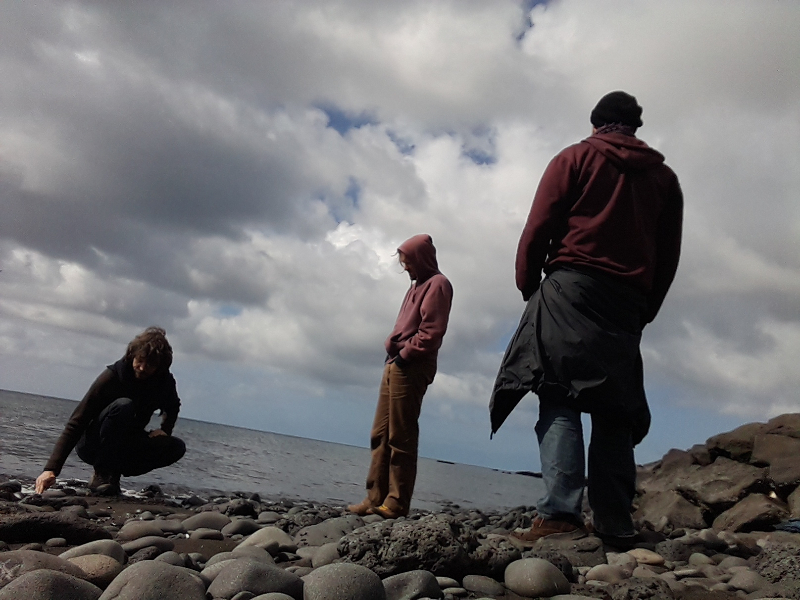 The storytellers from Félag sagnaþula were very thankful for our show, saying they seldom if ever got foreign shows to Iceland,and that they had become very inspired. After the show, we had an unexpected get-together with the Romanian and Scottish audience members, who all were interested in heritage, folklore and folk music. We shared, compared and discussed similar topics and questions with them as with the local Icelanders previously, and they all expressed an interest in exploring storytelling. In total, we reached and had connections with about 35 people, including the audience members and the storytellers from Félag sagnaþula. We felt that our small collaboration/meeting with the local storytellers was highly appreciated, and we were also inspired in return. 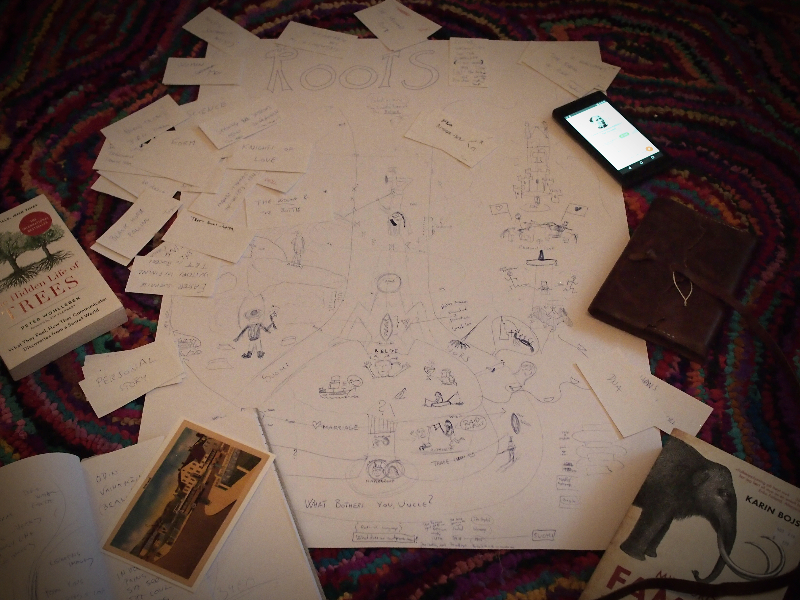 With regards to «Roots», our stay in Iceland gave us a key which unlocked the performance for us, and gave us a good foundation for further work. -------> So You Want To Be A Hero?